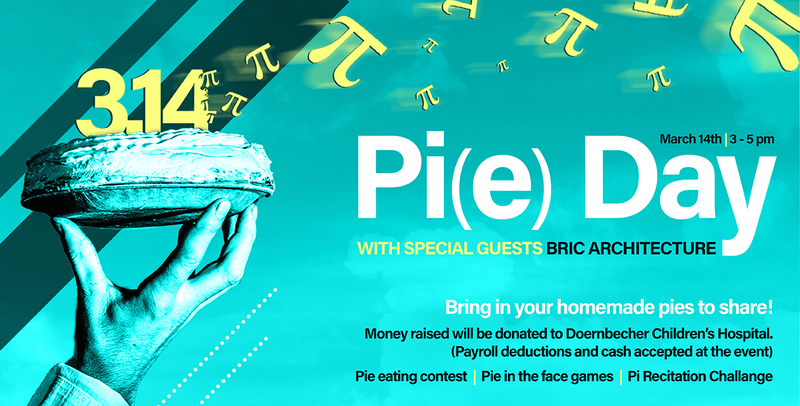 At Interface, we turn Pi(e) Day into an afternoon of fun and games, however the main goal for this day is much more serious; raising money for Doernbecher Children’s Hospital. Our donations help with patient care, research, and so much more. This year we enjoyed a pie eating contest, pie in the face games, pi recitation contest and special guests from BRIC Architecture. The employee donations alone far exceeded our goal, and during the event we received the awesome news that Interface and BRIC would be matching employee donations - bringing our total to just shy of $4,200. We are so excited about the success of the event and deeply grateful to everyone who participated and contributed as well as our fantastic Community Outreach group for organizing.